In 1951, a thirty-year-old African American mother of five went to Johns Hopkins Hospital to be treated for cervical cancer. During the course of treatment, a sample of her cancerous cervix was taken and, without her permission, a piece was sent to George Gey, head of the tissue culturelaboratory. (At that time, permission was not required to use a person’s cells, and none was sought.) Eight months later, the cancer had metastasized throughout her body, and, in October, Henrietta Lacks died. On that same day, Gey appeared on television with a vial of immortal HeLa cells that he claimed held the potential to cure cancer. When normal human cells are grown in culture, they die after dividing twenty to fifty times. The HeLa cells—the first immortal human cells—kept dividing and have continued to do so since 1951. Why they are immortal has not been determined. HeLa cells were mass-produced and distributed to laboratories throughout the world, and some researchers consider their existence to be one of the greatest medical discoveries of our time. Jonas Salk used these cells in 1954 to develop his polio vaccine, and they have served as invaluable tools to study cancer, the cell biology of tumors, anticancer drugs, and AIDS, and in genetic mapping. Twenty-five years after her death, the Lacks family first became aware of the existence of the cells. The cells had been widely distributed and commercialized but neither Gey nor the Lacks family received any compensation, nor was Henrietta Lacks ever even acknowledged. Although occasional newspaper articles on Lacks and HeLa cells have appeared, in 2010 the story was recounted in detail in Rebecca Skloot’s The Immortal Life of Henrietta Lacks, a book that remained on the New York Times Best Seller List for over two years. In March 2013, German researchers published the HeLa genome (the DNA code)—once again, without the family’s permission. In August 2013, the US National Institutes of Health and the Lacks family came to an agreement that the family would have some control over who gains access to the DNA code, but still no financial compensation for the cells has been granted. SEE ALSO: Cell Theory (1838), Tissue Culture (1902), Cell Senescence (1961), Cell Cycle Checkpoints (1970), Induced Pluripotent Stem Cells (2006). 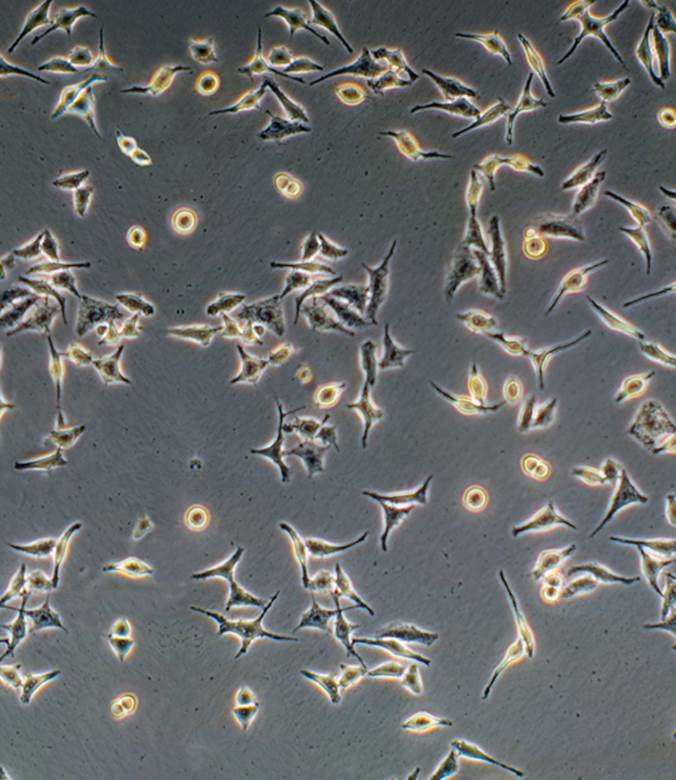 A culture of HeLa cells, originally obtained from human cervical cancer cells. This line of cells has been dividing since 1951 and is now the most commonly used cell line in biological and drug research.